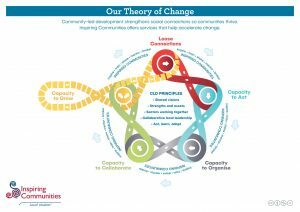 Inspiring Communities has developed a new Theory of Change which has evolved from what we have learned from the collective wisdom in communities across Aoteoaroa. It illustrates how sustainable change happens using a community-led development approach – beginning with the understanding that all communities have the ability to thrive and that effective change is dynamic – there is no perfect ‘straight line’ plan. The Theory comes with an explanation outlining the phases and transitions between them. Inspiring Communities has developed this Theory to build understanding about how CLD happens and what our role is. We encourage you to share it, and to use it as a resource in your work too. Let us know what you think! 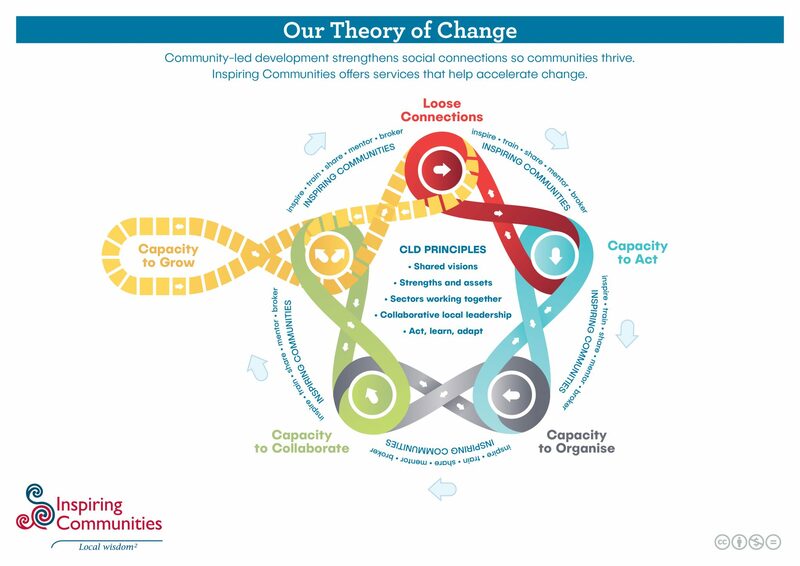 We invite you to use and share our theory of change – but please attribute Inspiring Communities in all communications.